I have been meditating on this scripture for a while and have found it very encouraging to both my own soul and hopefully to yours as well. In chapter 16 of the book of John, Jesus is having the last supper with his disciples in which he tells them how he will be leaving soon. He tells them that they will have sorrow but their sorrow will turn into joy when he returns. This is the last verse before he prays over them. I hope that you can see the hope and encouragement in this verse! Jesus tells his disciples that he will be leaving them to prepare them. Naturally, they would be worried because they have followed this man for the last three years of their life and now he is telling them he will die and return to the Father. But he’s saying that he’s telling them so that they would not worry but to find peace in Himself! This is a bit ironic if you think about it. Find peace that he’s leaving, not worry! Yet this is the Christian message: True peace, true joy, true life, is only found in Jesus and nothing else. And if a true life is found in Jesus, then nothing should phase us as believers! Following that Jesus tells them that in the world they will have tribulations and hardships. He’s not saying “you might have tribulation” but you “will.” It’s a given that Christians will go through hard times. I think sometimes Christians get so sad when we hit hard times, when it’s actually something we should take as a given! We should gladly take it as a given in our life because of what Jesus says to us after! 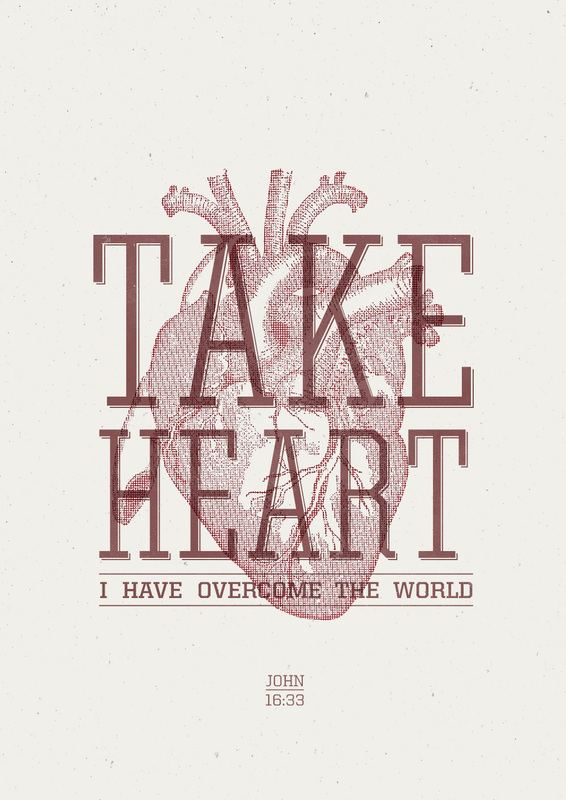 “But take heart; I have overcome the world.” BOOM! Take that, tribulations! We don’t have to be anxious, or worry, or stress, because Jesus has overcome the world. Let me say that again! JESUS HAS OVERCOME THE WORLD! Dang, that’s an awesome sentence right there! He’s overcome our loss, overcome our pain, overcome our suffering, overcome our bad grades, overcome our broken families, overcome our sin, overcome death, overcome the whole world! Take heart, my friends, Jesus has overcome the world. 1 Peter 5:10 Nice one Will!